Nebraska football kicks off its 2018 season in less than two weeks. It's a season already filled with plenty of hope, even if the outcome is difficult to predict. It's also considered one of the more difficult schedules in 2018, which makes things even more interesting. What do Nebraska fans need to know about the 2018 football schedule? Let's take a quick look by game. What to know: Akron won a division title in the MAC in 2017, but there isn't much hype for the Zips going into 2018. Most are projecting Akron to finish in the middle of the MAC East, which is a far cry from that division title and postseason play one season ago. Akron is strong in the turnover battle, having finished the 2017 season plus-10. However, the Zips also finished the season ranked 104th in total defense and 122nd in total offense. What to know: After a 10-win 2016 season, Colorado finished 5-7 in 2017. The Buffs finished last season ranked 81st in offense and 110th in defense. Even more, Colorado's defense gave up more yards per game than Nebraska did. Fourteen more yards on average, to be exact. What to know: Troy went 11-2 in 2017, winning their conference championship. What's likely more memorable for most college football fans? The fact that Troy beat LSU at LSU. Depth of a Sun Belt team versus a Big Ten program should fall in favor of the Big Ten. However, Troy's not a bad opponent. They definitely won't be nervous walking into Memorial Stadium, which will make for an interesting non-conference matchup. What to know: Michigan was third in total defense and 13th in scoring defense in 2017. Considering the Wolverines return all but two defensive starters, opposing offenses will likely have a little issue with Michigan. Making the matchup even more difficult? It's Nebraska's first road game of the season. Talk about an intimidating environment for whomever the Huskers' starting quarterback is. What to know: Purdue should have probably beaten Nebraska in 2017. The Huskers pulled off the win though, but the Boilermakers still had a successful seven-win season that ended with a Foster Farms Bowl victory. Quarterbacks Elijah Sindelar and David Blough return, but it's the defense that shines. Purdue's defense ranked 117th in scoring devense in 2016. By 2017, the Boilermakers were 24th. Not a bad improvement. What to know: The Wisconsin matchup means a lot to Nebraska. Just ask the players. The Badgers have made themselves successful using the old formula that once made Nebraska successsful too. That's reason enough to make some blood boil between the two. Even more, Wisconsin was No. 2 in total defense, No. 3 in rushing defense and No. 5 in pass defense in 2017. The Badgers also only surrendered 13.9 points per game last season. What to know: Nebraska is currently 3-0 against Northwestern when the game is held at Ryan Field. At Memorial Stadium, the Huskers are only 1-3. It's bizarre. Beyond that, Nebraska and Northwestern like to keep it close. Four of the seven games between the two programs since Nebraska joined the Big Ten have been decided by a field goal or less. Needless to say, this is always a matchup to keep an eye on. What to know: Nebraska lost 54-21 to Minnesota in 2017, so there's some hesitation for fans with this game. There shouldn't be. Yes, Nebraska gave up a staggering 514 yards of offense that day but the Gophers finished the season 5-7 and had their own fair share of struggles. This matchup shouldn't be quite so dramatic for Nebraska in 2018. What to know: There's no telling what will or will not happy with coach Urban Meyer at Ohio State, but the Buckeyes will be a solid football team this fall regardless. Sophomore Dwayne Haskins is the man under center ande despite limited snaps in 2017, he performed well in Ohio State's spring game (completing 40-of-57 passes). The defense lacks seniority, but that's never really been an issue for Meyer in the past. There's talent among the freshmen and sophomores. 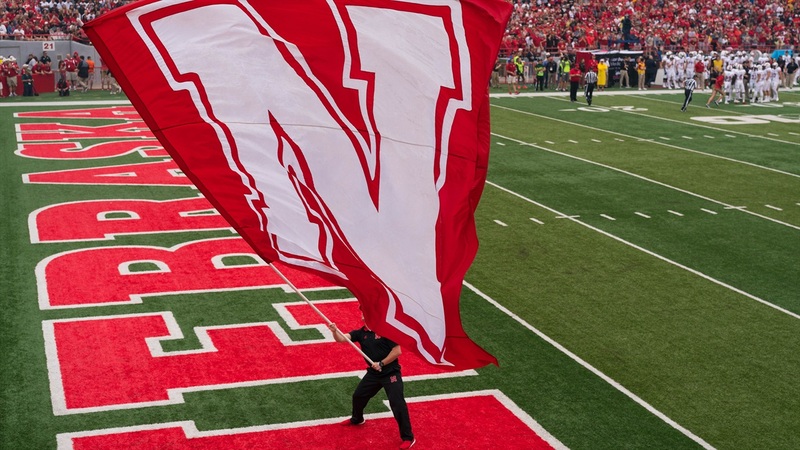 What to know: Nebraska will see a familiar face when Illinois rolls into town in November. The Fighting Illini added grad transfer A.J. Bush, a former Husker, in May. He now has all but won the starting quarterback job. Bush has his work cut out for him at Illinois. The Illini offense was ranked 127th out of 130 FBs teams last season. What to know: Michigan State returns 19 starters between the offense and defense after a 10-win 2017 season that includes victories over Michigan, Penn State and Iowa. The Spartans also lost 48-3 to Ohio State, but that's neither here nor there. Nebraska defeated Michigan State the last time the Spartans came to town in 2016. Will history repeat itself? Maybe, but the Huskers will have to overcome a loaded and experienced offense line and a solid quarterback in Brian Lewerke. What to know: The last time Nebraska traveled to Iowa City, the Hawkeyes defeated the Huskers 40-10. Nebraska was also without its starting quarterback, and later its backup quarterback, in a game that felt like it may never end. Two years later, Nebraska will go back to Iowa City in hopes of erasing that memory. Like Wisconsin, the matchup with Iowa means more to Nebraska's players. The entire season matters to the Huskers, but some games are likely circled on the calendar at Memorial Stadium.